If the U.S. attacks Syria, be prepared for a protracted war. It will not be wham bam thank you ma’am followed by a ticker tape parade down Broadway. The battle will turn against Big Satan and Little Satan with a fury. All they are waiting for is an excuse. Remember, we have allowed tens of thousands of illegal aliens into the United States through our porous borders and coastlines from terrorist countries including Syria, Iran, Yemen, Somalia, Libya and Iraq. I cannot imagine that weapons of mass destruction have not been positioned in the United States in addition to thousands of shoulder fired surface-to-air missiles missing from Libya. We have seen the destruction that a handful of insurgents can cause, imagine 20,000 insurgents with sophisticated weapons and help from superpowers. It is true we have some allies but it is also true that we have many countries that would love to bury us. I don’t have to name them. Our military has been decimated leaving us vulnerable like never before. 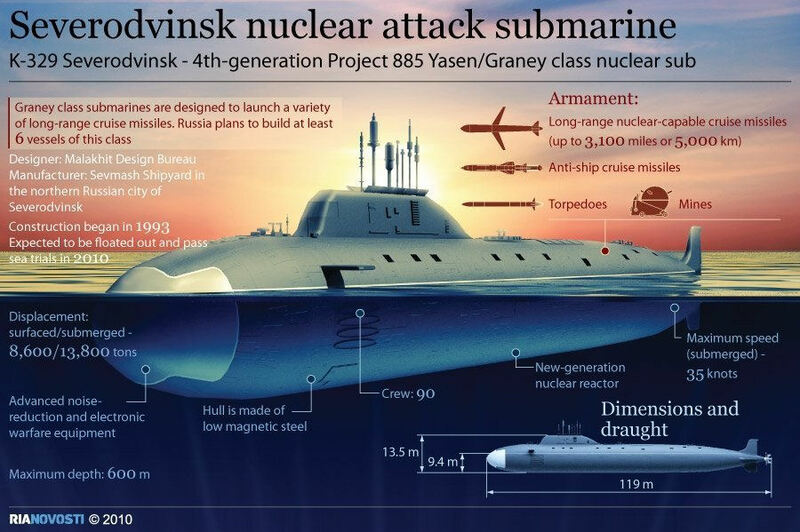 Those of you watching junk TV may not be aware that a Russian nuclear-powered attack submarine armed with long-range cruise missiles operated undetected in the Gulf of Mexico for several weeks last year. The administration might think about defending our country before starting something 10,000 miles away. Soviet Nuclear Subs are much longer than a football field and wield real firepower. Many years ago, Al Capone virtually owned Chicago. Capone wasn’t famous for anything heroic. He was notorious for enmeshing the windy city in everything from bootlegged booze and prostitution to murder. Capone had a lawyer nicknamed “Easy Eddie.” He was Capone’s lawyer for a good reason. Eddie was very good! In fact, Eddie’s skill at legal maneuvering kept Big Al out of jail for a long time. Chicago City block. Eddie lived the high life of the Chicago mob and gave little consideration to the atrocity that went on around him. he loved dearly. Eddie saw to it that his young son had clothes, cars, and a good education. Nothing was withheld. Price was no object..
even tried to teach him right from wrong. Eddie wanted his son to be a better man than he was. Yet, with all his wealth and influence, there were two things he couldn’t give his son; he couldn’t pass on a good name or a good example. He decided he would go to the authorities and tell the truth about Al “Scarface” Capone, clean up his tarnished name, and offer his son some semblance of integrity. To do this, he would have to testify against The Mob, and he knew that the cost would be great. So, he testified. Within the year, Easy Eddie’s life ended in a blaze of gunfire on a lonely Chicago Street … But in his eyes, he had given his son the greatest gift he had to offer, at the greatest price he could ever pay. Police removed from his pockets a rosary, a crucifix, a religious medallion, and a poem clipped from a magazine. Fast forward to World War II and Lieutenant Commander Butch O’Hare, a fighter pilot assigned to the aircraft carrier Lexington in the South Pacific. One day his entire squadron was sent on a mission. After he was airborne, he looked at his fuel gauge and realized that someone had forgotten to top off his fuel tank. His flight leader told him to return to the carrier. Reluctantly, he dropped out of formation and headed back to the fleet. 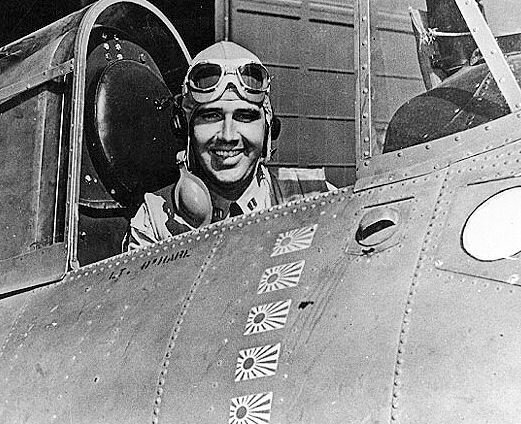 As he was returning to the mother ship, he saw something that turned his blood cold; a squadron of nine Japanese bombers was speeding its way toward the American fleet. fleet was all but defenseless. He couldn’t reach his squadron and bring them back in time to save the fleet. Nor could he warn the fleet of the approaching danger. There was only one thing to do. He must somehow divert them from the fleet. limped back to the carrier. surrounding his return. The film from the gun-camera mounted on his plane told the tale. It showed the extent of Butch’s daring attempt to protect his fleet. He had, in fact, destroyed five enemy aircraft on February 20, 1942, and for that action Butch became the Navy’s first Ace of W.W.II, and the first Naval Aviator to earn the Medal of Honor. Butch O’Hare was “Easy Eddie’s” son. Does Mike Ross Get It? A Republican candidate for Governor of Arkansas, Asa Hutchinson, is advocating reducing personal state income tax. In a widely publicized retort, the lone Democrat candidate so far, Mike Ross, asks the proverbial question, where is Asa going to raise taxes to make up for the revenue loss to the state? As a candidate for governor several years ago I also received the same question. It is not an inquiry that can be responded to with a sound bite. Even the long answer is not something most liberals can understand. I’m not going to talk about T. Boone Pickens who became a billionaire by taking over underperforming companies, but rather I want to highlight the success of Robert Townsend. Robert was a World War II veteran who was hired by American Express and moved up to Senior Vice President by 1962. At that time a group of people bought Avis, a struggling auto rental company that had never made a profit during its entire 16 year existence. One of the partners convinced Townsend to leave American Express and become CEO of Avis. So what did Townsend do, raise rates, build a new marble headquarters, buy a bigger jet aircraft? Robert Townsend got rid of the perquisites straight away. He sold the company airplane, downsized his staff to one secretary and even did away with his own office. Yes, for an extended time he didn’t even have an office. He wore the same blazer that his employees wore and he would visit employees and ask this question, “what would it take for you to be able to perform your job a lot better?” Guess what, they told him and he listened. Agents told him the rental agreement was too long and took too much time to fill out. His bean counters had a fit but he removed everything from the form that was not absolutely necessary. They told him his advertising was not effective. Townsend spoke to William Murphy, CEO of Campbell Soup who recommended the advertising agency they used. Murphy told Townsend how they had increased sales dramatically. Once Murphy asked the advertising agency why they never promoted Campbell Tomato soup. The head of the agency told him it is because their tomato soup was terrible. He said if you change the recipe we’ll advertise it. Murphy sampled the soup and agreed it was terrible. He changed the recipe and the advertising agency promoted it. It became their best selling soup. The advertising agency developed the advertising campaign for Avis that proved to be a winner. The phrase “We Try Harder” has gone down in advertising history as one of the longest-lasting and most respected taglines. The origination of the slogan was not to create a cute, gimmick, but instead it was – and is — a business philosophy that every Avis employee holds true. “We Try Harder” has helped Avis earn a reputation as one of the most admired businesses in the world. One day Robert’s secretary told him she needed some of his time first thing every morning to get organized. She told him if he would come in next morning at 7 she would meet with him. He told her he came in at 8. She said at 8 there will be a line of people waiting to see him. He came in at 7 and together they organized his day and were both on the same page. By listening, he became much more effective as a leader. Senior managers are not the only people with good ideas. It was Robert Townsend who turned Avis around and began showing a profit for the first time. I know that real leadership is in short supply today but I have always been able to find it. Not long ago the Arkansas governor could not figure out how to cut one red cent out of the budget for the state crime lab. The state even taxes charity bingo conducted by churches, veterans organizations, volunteer fire departments, schools, food banks and Parent Teacher Associations. The parks and recreation areas built with tax money when I was a child, now charge entrance fees. Back then they were open year-round, now many close after labor day but nobody is laid off. I am positive that I could find a competent leader for every state agency who could do quite nicely with 25% less funding. With tons of money, any bureaucrat can manage. In 1967 Winthrop Rockefeller was elected the first Republican Governor of Arkansas since Elisha Baxter left office in 1874. Governor Rockefeller and his Lieutenant Governor, Medal of Honor recipient “Footsie” Britt, left Arkansas with a considerable budget surplus after they left office four years later. When Dale Bumpers took office he called a special session of the legislature to figure out how to spend that surplus. That’s what Democrats are good at, spending taxpayer money. It didn’t take long to figure out how to squander that surplus and an additional amount on top of the surplus. I imagine every legislator was able to find some pork barrel project in his or her district to throw money at. That Democrat big government tax and spend culture is starting to irritate Arkansas voters like fingernails scratching a chalk board. So here is my answer for Mike Ross, the Democrat candidate endorsed by Governor Beebe, you don’t need additional taxes if you are willing to lead and manage. There is enough fat and pork to cut as the state income tax goes away. You don’t need to scare state employees either, the number of state employees can be brought into line by a hiring freeze and retirements. Arkansas does not really need all those automobiles and marble buildings either. Oh yes, those companies that visit Arkansas and then locate in Texas, maybe they will stay in Arkansas. Those billionaires and millionaires who moved away like our previous governor, maybe they will move back? Those retirees who retire in Texas and Florida, maybe they’ll retire in Arkansas? The seven states with no state income tax and the two additional states that only tax dividend and interest income are doing just fine with a lower per capita tax than Arkansas. Can we compete with them? The path of least resistance is to go the way of the high tax cities and states; the path taken by Detroit, Chicago, California and New York. I know there is a nucleus of legislators with Robert Townsend like mindsets in the Arkansas Legislature. I watched them and testified before them this year. With the right governor, Arkansas can become a low tax state responsive to tax payers again. If Asa Hutchinson wants my support, he must be truly committed to eliminating our state income tax and the supporting bureaucracy. I think Arkansas needs a new culture where excellence and hard work are celebrated and inefficiency and slothfulness are shunned. I believe in Arkansas, I believe we can compete, will we? Your comments are appreciated. How many Arkansas residents will join me in the fight to join the Seven States with No State Income Tax? I want to eliminate the tax and phase out the thousands of state workers who administer the program and save the thousands of trees it takes to make the tons of paper required for all the forms and documentation and save the millions of hours it takes to fill out and process the paperwork. In addition to the Seven States with no income tax, two other states only tax dividend and interest income. Some of those states not only have no income tax, they also have no sales tax. Guess what, none of those Nine States are anywhere near bankrupt. The bankrupt states are the high tax states, imagine that! It is a shame that Arkansas citizens become millionaires and billionaires and then are forced to move to states with reasonable taxes. Even our former governor moved to Florida. Our current governor travels all over the world trying to lure companies to Arkansas. They come and they look and they like everything except our taxes. Then they go to Texas. Do you think Arkansas can compete with Texas? I know we can compete but will we. Do you want to continue to have the highest per capita taxes in the south, or do you want to get serious about becoming competitive? 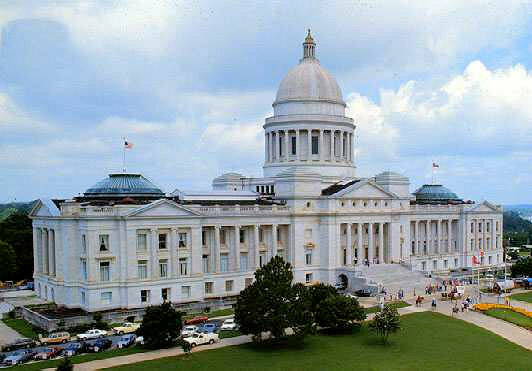 In 1999 the Murphy Commission presented a detailed study of Arkansas state government. More than 100 community leaders and volunteers developed recommendations to make Arkansas government smaller, more cost-effective and more accountable to taxpayers. The Commission toured the state with the huge chart depicting the structure of State Government as best anybody could determine the structure. The abject waste and mismanagement remain unabated to this day. I pointed out two years ago that Arkansas has 20,000 more state employees than Kansas, a state with a larger land area and the same population. Heaven forbid that a single state unionized worker be laid off! That would be tragic. Have you forgotten the state employees who retired one day and came back to work the next day and drew two state checks? Maybe if we allowed state workers to retire and not come back to work? Perhaps a hiring freeze and phase out of agencies that have no use and provide no value to Arkansas? How about demanding a day’s work for a day’s pay? Is there a candidate for governor with the courage and conviction to make Arkansas competitive? Are there legislators who have the vision and will to make it happen? What will it take? Drive around and look at the abandoned factories and business buildings. Arkansas is not Detroit, at least not yet. Is this the End of the Line for We The People? I have made scores of trips around the Sun and have learned that government is no longer of the people, by the people and for the people. Clearly laws are made to apply to We The People but not to the government. We have an Attorney General continuing to be a loose cannon while being held in Criminal and Civil Contempt of Congress. Are we to believe that every single government agency is, coincidentally, a rogue agency? NSA is charged with Foreign Intelligence, yet the 100,000 unionized employees are spying on law abiding citizens. Worse than that, the Director of National Intelligence, James R. Clapper and the Director of NSA Keith Alexander misled Congress about what NSA was doing. Can you name ANYBODY in the Obama Administration who has not misled of flat out lied to Congress? While Republicans sponsored a Bill to defund NSA’s illegal spying, it was the majority of the Democrats who voted for it against Obama and Pelosi’s wishes. You guessed it, the Bill failed because the Republicans were afraid MSNBC might not like them! Meanwhile, the Constitution is being trampled on by government at all levels. The Constitution is suppose to protect us from an overreaching government like this “Mother of all Overreaching Governments!” Take the Supreme Court, for example. While the Obama Administration is reading emails and listening to phone calls of the Supreme Court Justices, the Justices are Legislating by 5 to 4 decisions. So who is upholding and defending the Constitution, the 5 or the 4? They can’t all be defending the Constitution, that would be impossible would it not? We have unionized border patrol agents and drug enforcement agents who draw their huge salaries and great benefits while illegal drugs and illegal aliens pour into the United States like hungry New Yorkers pour into Time Square during lunch break. Republicans you elected have stopped reaching across the aisle, they have moved across the aisle and are setting on Chuck Schumer’s and Nancy Pelosi’s laps. Michelle Bachmann, the Tea Party Darling, has fallen for the NSA lies hook, line and sinker. And to think that Babe in the Woods ran for President! My own Republican Congressman supports giving tanks and F-16’s to Egypt and sponsored the Bill to tax internet sales. Yes, it can be embarrassing to be a Republican these days! In summary, the list of scandals grows longer and longer everyday. That is not counting phony scandals like the despicable antimuslim video and the George Zimmerman Trial that wasted taxpayer’s money. Here is my simple question: What would a U.S. President have to do to be impeached? You are currently browsing the Gene McVay On Guard blog archives for August, 2013.